The 16 main blankets are installed. 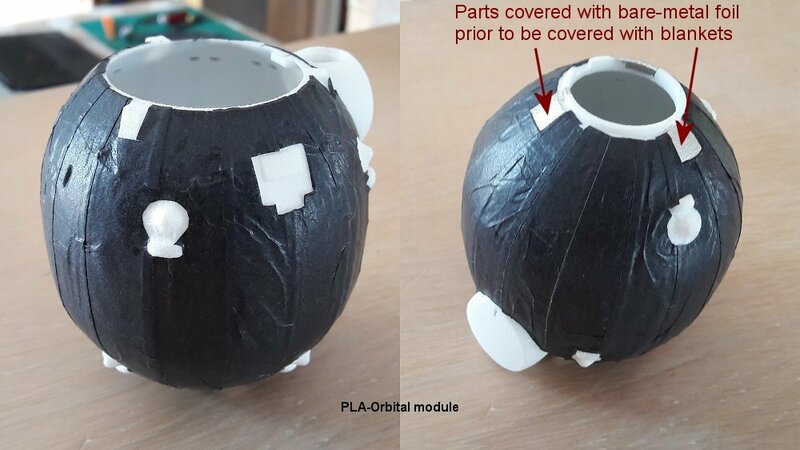 Note that on the bottom part of the Orbital Module some areas are not covered with thermal blankets as this is where the clamps retaining the descent module are attached during ascent until the escape tower is jettisoned. These three areas are covered with flat aluminium bare-metal foil prior to put the main blankets.